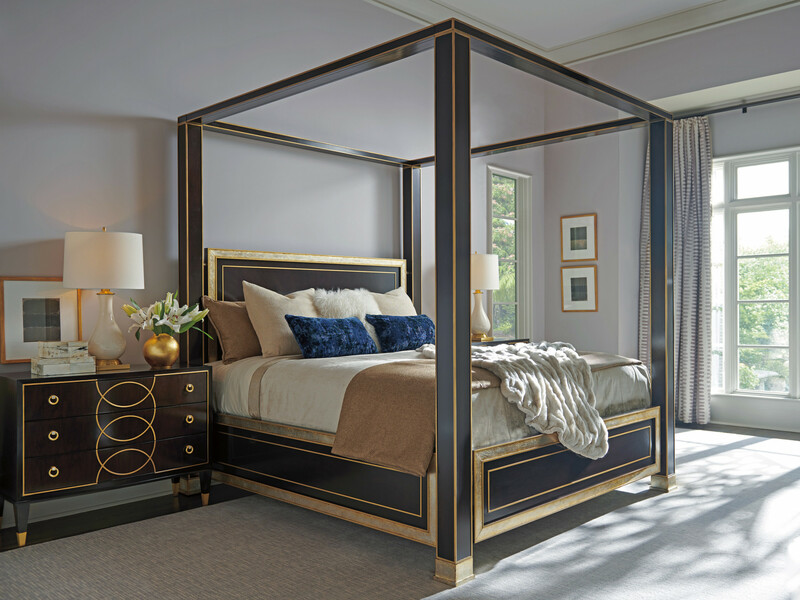 A signature piece in the Carlyle collection, the St Regis Poster/Canopy Bed features a rich walnut finish with a striking border of hand-applied silver leaf around the headboard, footboard, siderails, metal accents and feet. 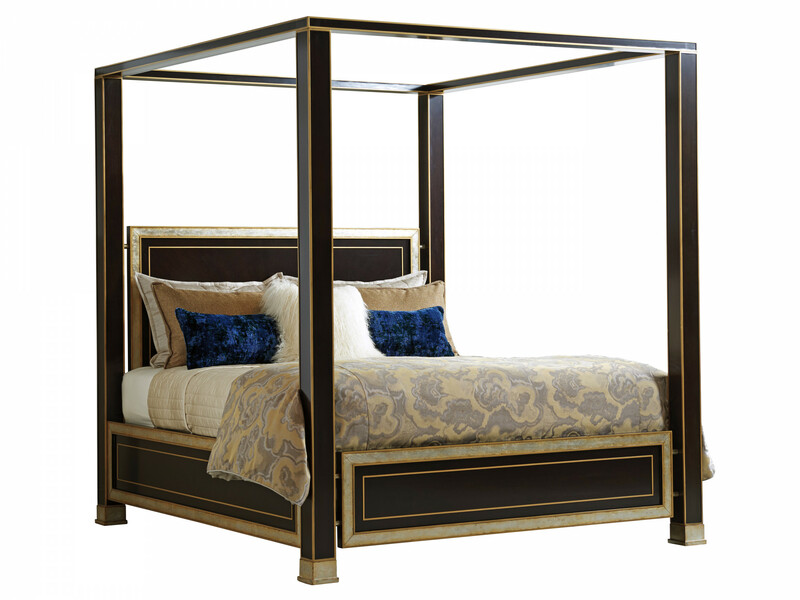 Gold striping further highlights the square posts, headboard, footboard, canopy frame and side rails. Dimensions: 82W x 91D x 92H in.